Unbelievable even to myself, I made a salad today. This one is a typical French thing and old-hat to millions of people, and something I've not eaten often enough. 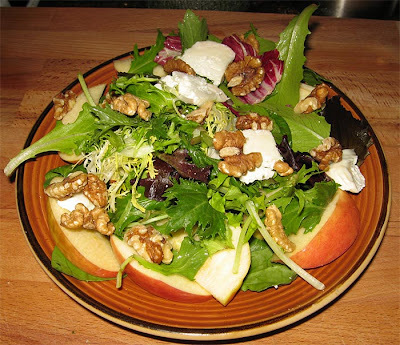 On a base of spinach and pink lady apples, I put a spring salad mix, walnuts, bucheron, and mustard vinaigrette.